So, if you’ve been paying any attention to the news recently or maybe you’ve seen something on your Facebook feed, you know that Ireland is about to have a very divisive referendum on abortion. If you’re left scratching your head and haven’t a clue what the hell a referendum is or how do you vote in one, then fear no more. We here at An Focal are ready to explain to you in simple language what a referendum is and why it’s important that you vote in the upcoming one this May. A referendum is a direct vote in which an entire electorate is invited to vote on a particular proposal. This may result in the adoption of a new law. E.g. “he called for a referendum on the death penalty”. When the Government wishes to change something in the Irish Constitution, it must do so by holding a Constitutional Referendum. The referendum gives the people a chance to vote for or against the proposed change or amendment to the Constitution. When the Government wishes to introduce a law that is of national importance, the Seanad and the Dáil can petition the President to hold a referendum about the law. It’s the former that is of particular interest, as this is the one which will be happening this year. To call a Constitutional Referendum, a proposal to amend the Constitution must be introduced in the Dáil as a Bill. The Bill sets out the proposed amendment to the Constitution. The Bill must be passed by both the Dáil and the Seanad. The Bill is then submitted to the people so that they can vote for or against it. If the majority of the votes cast at the referendum are in favour of the change, the Bill is signed by the Irish President and the Constitution is then amended. If you are listed on the Register of Electors in Ireland, a polling card will be sent to your home before the referendum date. Your polling card will include your elector number and will tell you where you can vote. It will also include a formal statement explaining what the referendum is about. On the day of the referendum, you must go to the polling station stated on your polling card. There will be further information available at the polling station explaining again what the referendum is about. You will then be given a ballot paper. Voting is by secret ballot. Your ballot paper will contain short instructions on how to vote and will show the title of the bill proposing to amend the Constitution. Your ballot paper will ask you whether you approve of the passing of the bill. You must mark “X” in either the “yes” or the “no” box on your ballot paper. You then fold your ballot paper to hide how you voted and place it in a sealed ballot box. You can only vote once at a referendum. You must bring a valid form of personal identification, such as a passport or driving licence, with you when you go to vote. 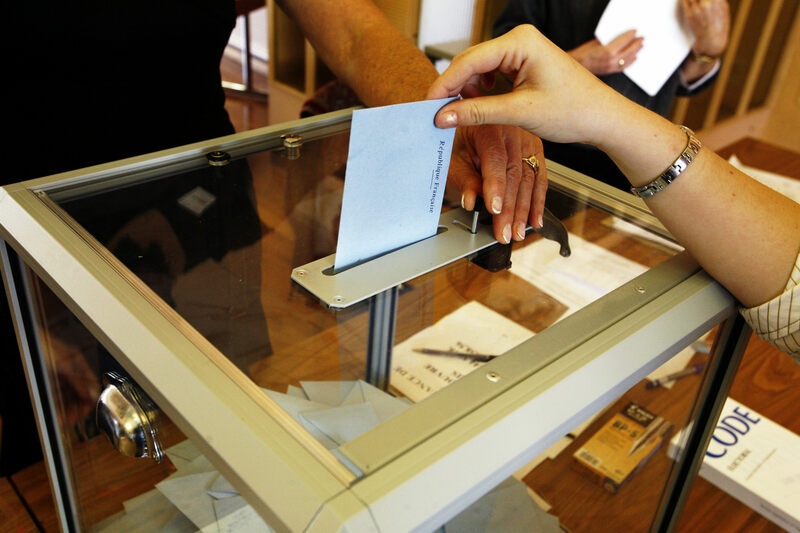 How do I know if I’m on the register of electors? You can check the website, http://www.checktheregister.ie/ , to see if you’re registered. You can call into your local authority e.g Cork county council, or your local Post office, Garda station or even public library to see if you’re on the register. I’m not on the register. How do I get on it? Be at least 18 years old on the day the Register comes into force (15 February). ***You are eligible for inclusion in the supplement to the Register of Electors on or after the day on which you reach 18 years of age. You can be included if your birthday falls after the closing date for applications but is on or before polling day. If you are in this situation, it is advisable to enclose a copy of your birth certificate or similar document with your application. Application forms for inclusion on the Electoral Register, Special Voters List, Postal Voters List and the amended Electoral Register are available on www.checktheregister.ie. Forms are also available from all local authorities, post offices and public libraries. You must fill out the form and get a member of the Garda Síochana to sign and stamp it. You can bring it your local authority and they’ll add you to the register. The upcoming referendum will be a very emotive one and it is essential that you use your right as a citizen to vote. No excuse, get out and get registered.